NEW! We now offer payment plans at competitive rates for custom, performance and repair work. Payment Plans available for Tires, Motor work, Cams etc. Fix It or Build It Today! Come on out and check out our large inventory and talk to our sales team. You just never know when that specific bike will call your name! 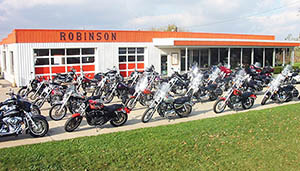 We have sold new and pre-owned Harleys since the 1960’s. We bring you the best pre-owned Harley® motorcycle values from across North America to save you thousands. We ship across Canada. So, why buy new, when you can save thousands of dollars at Robinsons? 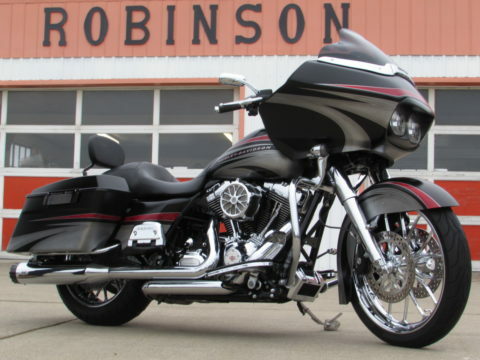 We are Canada’s largest dealer of quality pre-owned Harley-Davidson® motorcycles.